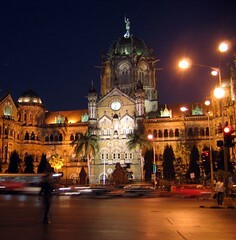 Its been reported in the news that CST station (also popularly and formerly known as Victoria Station, V.T. for short) will get a face lift. The plans include a shopping mall, parking area, toilets, ATMs, kiosks and food plazas! The railways plans to put all the new infrastructure on vacant land in its possession around the station. Since the place is already a 'World Heritage Site' it remains to be seen how the railways accomplish this task without causing any damage to the main structure! Already the structure is under much strain due to pollution, and people. Wonder if it is all 'Lalu's idea!